Office Hours: By appointment (via email). 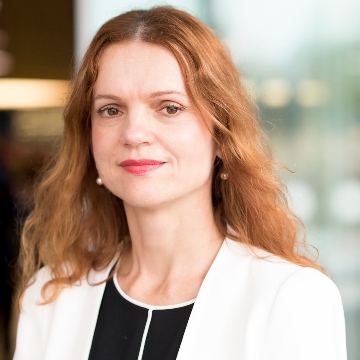 Bozena is responsible for developing and delivering effective marketing strategies in order to attract high quality students for undergraduate and postgraduate courses offered by the Department. Bozena also leads on issues relating to the student experience which includes the management of events for students and staff such as inductions, career events, guest lectures, graduation and social gatherings. Bozena joined the Economics Department in December 2016. Prior to that she worked for Oxford University developing marketing strategies for a range of courses offered by the Department for Continuing Education. Bozena worked for Warwick before in the role of Marketing Manager for the Institute of Education. Bozena has a BA(Hons) in English from the OU and a Master’s in European Business from UWE, Bristol. She has recently obtained a PG Dip in Digital Marketing from the Institute of Direct and Digital Marketing (IDM). In her recent roles, Bozena has focused on combining traditional marketing techniques with digital ones.